Today I’ll be attending my grandson’s third birthday party. During the festivities I’ll be thinking of his recent health challenges and how they reminded me how precious life is. None of us are guaranteed tomorrow and today is all we have. As much as I would like not to think about it, in the back of my mind while we celebrate my grandson’s third year among us, another unborn child will be killed in America every 26 seconds. While I run and play with my grandson this afternoon the killing will continue. As we enjoy our birthday dinner and play some more, the killing goes on. Good people around the world are fighting every day to save our unborn children. While we fight daily to save our children, evil morons like Planned Parenthood’s Cecile Richards post Valentine’s Day ads urging women to have an abortion to celebrate the day. Wendy Davis, running for Governor of Texas, vacillates daily between pro-life and pro-abortion depending on the crowd she is speaking to. While her claim to fame is her fight in the Texas State Senate to allow pain-capable unborn children to be killed right up to the moment of birth, she relies on the ignorance of her constituency to further her political aspirations. The ignorance of her constituency is rivaled only by her own. When asked recently about partial-birth abortion and the trial of Dr. Kermit Gosnell, she claimed to know nothing about either. This, in spite of actively promoting abortion and accepting millions in campaign contributions from Planned Parenthood and America’s abortion industry. 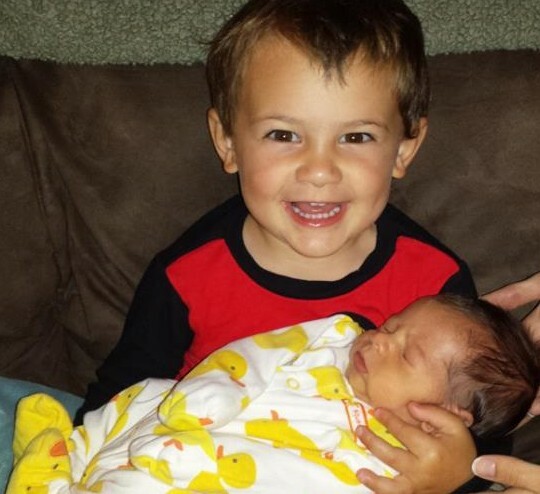 My grandson and his little brother are gifts to my family and the world, just like every other child. The unborn children that died today in America’s abortion mills were gifts to the world too. The animating spark of life they were given at the moment of their conception is a miracle beyond the comprehension of the world’s most brilliant thinkers. They were all given the gift of life for reasons we also can’t explain, but that we accept on faith in a higher power. I’ll continue to celebrate the lives of my children and grandchildren and to fight for the lives of the forgotten ones; the 1.2 million unborn children who die in America’s abortion mills every year. When, as a society, we accept the killing of our unborn children as the normal course of events and a necessary component of a civilized way of life, we are deserving of the consequences of our actions or inaction, and rightly so.